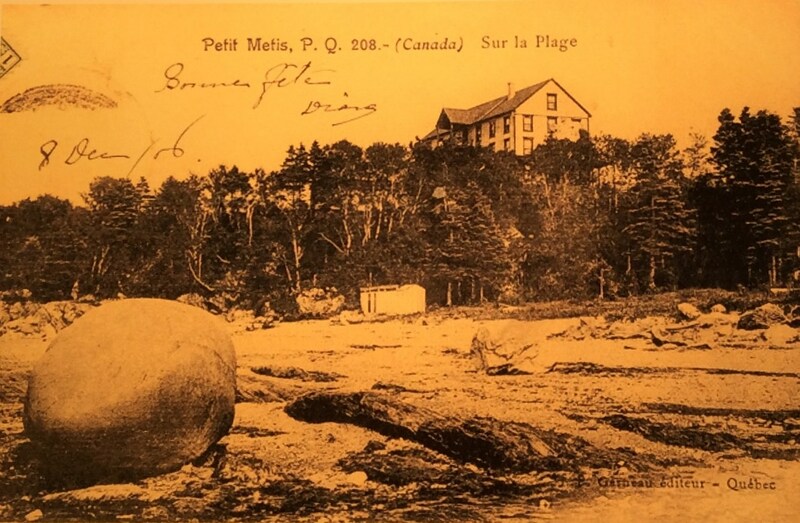 A postcard showing the beach at Hôtel Cascade in Métis, 1906? The rooms at Hôtel Cascade in Métis offered a view of the river, whether facing east, west or north. In their advertising, the Métis hotels lauded the proximity of the river, which was often called the sea. However, guests should not expect to discover sandy beaches! There are sandy beaches in Métis, but one has to work hard to find them since it’s rock and pebble beaches that predominate there. Many geologists, particularly from McGill University, enjoyed looking for (and finding!) fossils and other traces of the area’s natural history.